In the discussion on the differences between attributional and consequential modelling for Life Cycle Assessment (LCA), it is a common misunderstanding that consequential modelling requires scenario modelling or other form of forecasting, and therefore should be more uncertain than attributional models based on average, allocated data from the recent past. In their pure form, attributional models do not intend to say anything about the future, but it is still very common to find them applied to support claims about what is the best action to take to reduce future environmental impacts. One argument used to defend this (mis)use is the uncertainty argument. 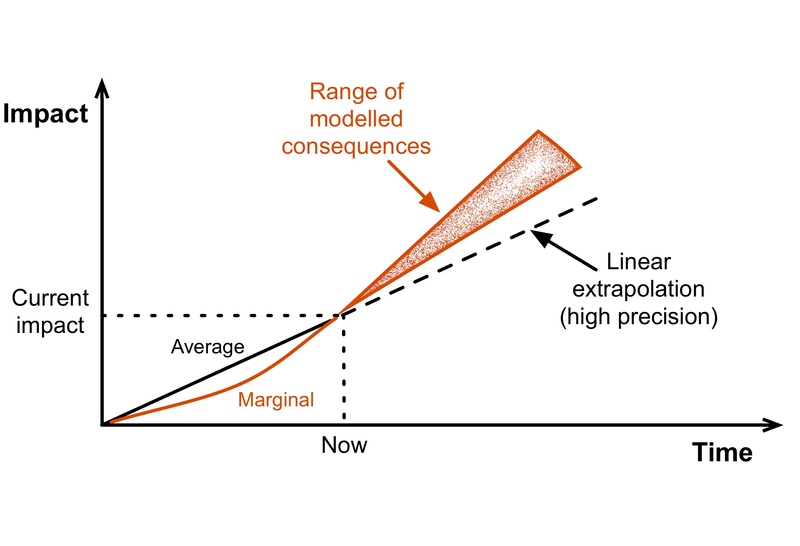 consequential models are based on data from the recent past on observed marginal changes in activities (including marginal substitutions). In this way, consequential models that seek to identify the here and now consequences of decisions do not need any more assumptions (or more uncertain data) than do attributional models. If dealing with issues further into the future, both attributional and consequential models would benefit from scenario modelling or other forms of forecasting, because future average behaviour, as well as future marginal changes, are different from those that can be predicted by extrapolating data from the recent past.